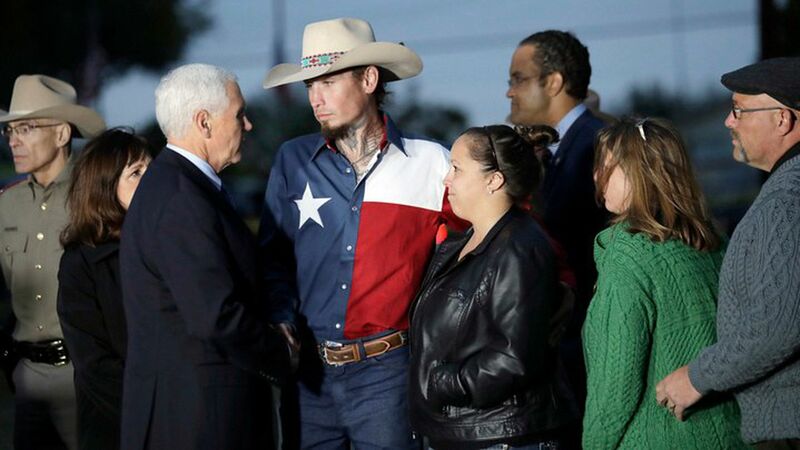 Vice President Mike Pence met with survivors, first responders, and victims' families in Sutherland Springs, Texas Wednesday following the state's worst mass shooting in modern history. Standing outside of the First Baptist Church, Pence said that "bureaucratic failures" were partly to blame for the massacre, and declared that "we will find out why this information was not properly reported." What's next: Pence, accompanied by his wife Karen, Attorney General Jeff Sessions, and Texas Senator Ted Cruz, will later attend a vigil at the Floresville High School football stadium.